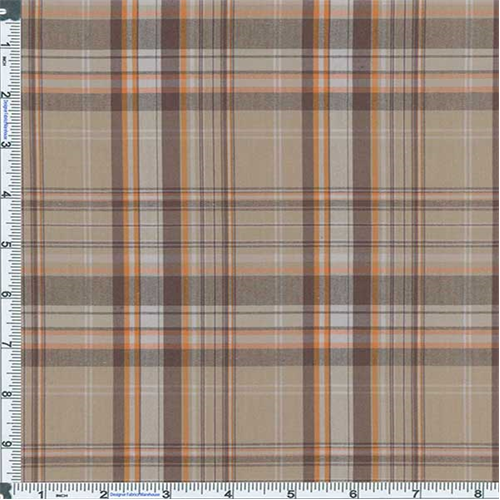 Khaki, brown, orange and white yarn dyed Bermuda plaid. A mid-lightweight plain weave cotton blend with a snappy hand feel. Very slight (about 5%) comfort stretch across width (this is NOT a knit type stretch). Semi-opaque to opaque: suitable for light casual pants, non-drapey dresses, and men's casual shirtings. Machine wash cold, tumble dry low or air dry.